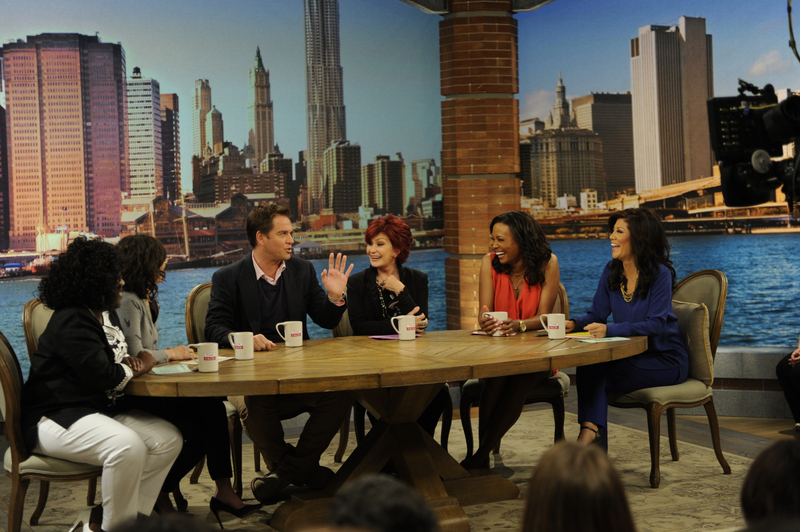 Actor Michael Weatherly (CBS’s “NCIS”) on THE TALK from Tuesday, May 15. Sheryl Underwood, from left, Sara Gilbert, Michael Weatherly, Sharon Osbourne, Aisha Tyler and Julie Chen, shown. Photo: John P. Filo/CBS ©2012 CBS Broadcasting Inc. All Rights Reserved.